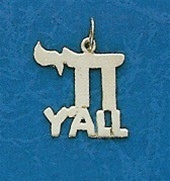 14K Gold Chai pendant with an attitude! Measures 1.25" from tip to tip. Chain not included.